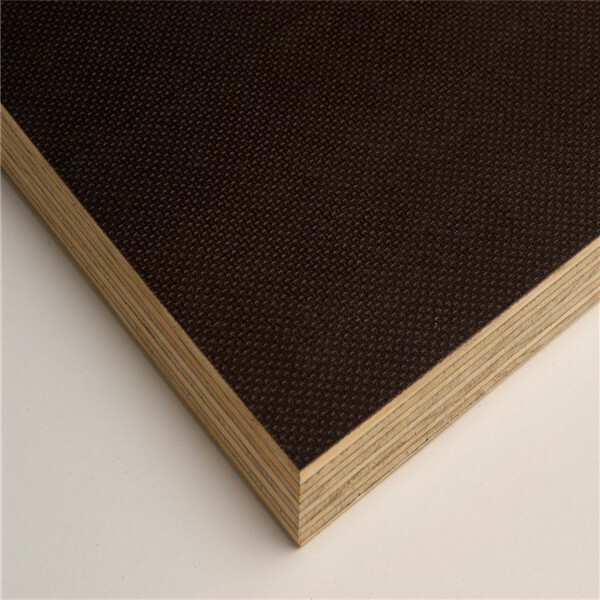 All plywoods bind resin and wood fibre sheets (cellulose cells are long, strong and thin) to form a composite material. This alternation of the grain is called cross-graining and has several important benefits: it reduces the tendency of wood to split when nailed at the edges; it reduces expansion and shrinkage, providing improved dimensional stability; and it makes the strength of the panel consistent across all directions. There is usually an odd number of plies, so that the sheet is balanced—this reduces warping. Because plywood is bonded with grains running against one another and with an odd number of composite parts, it is very hard to bend it perpendicular to the grain direction of the surface ply. Smaller thinner plywoods and lower quality plywoods (see Average-quality plywood photo below and right) may only have their plies (layers) arranged at right angles to each other, though some better quality plywood products will by design have five plies in steps of 45 degrees (0, 45, 90, 135, and 180 degrees), giving strength in multiple axes.